This month we have the pleasure of interviewing Mohamed Omer, and Yassir Khalid, two actuaries from Sudan. Dr. Mohamed A. Omer, AFA, ACCA is an associate actuary, Institute and Faculty of Actuaries (IFoA) and a professional accountant. He has more than 25 years of experience in the life and medical insurance industry and teaching actuarial science and accounting in Sudan and Dubai. Omer holds two master’s degrees in Actuarial Science and Actuarial Management from Cass Business School (London, UK). Yassir M. Khalid, ASA is an associate of the Society of Actuaries (SOA). He spent several years working as an actuarial analyst at National Pensions Fund of Sudan before joining a leading university in Saudi Arabia as an actuarial lecturer. 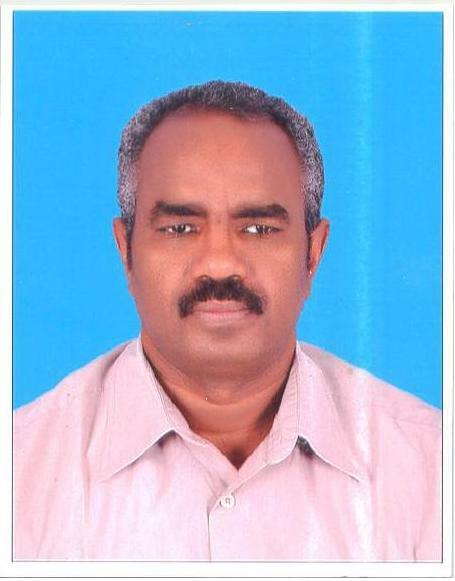 He is also the editor of the Sudan Actuarial Society’s Facebook page. Khalid holds a master’s degree in Actuarial Science from Heriot-Watt University (Edinburgh, UK). ACTEX Learning: How many practicing actuaries do you have? 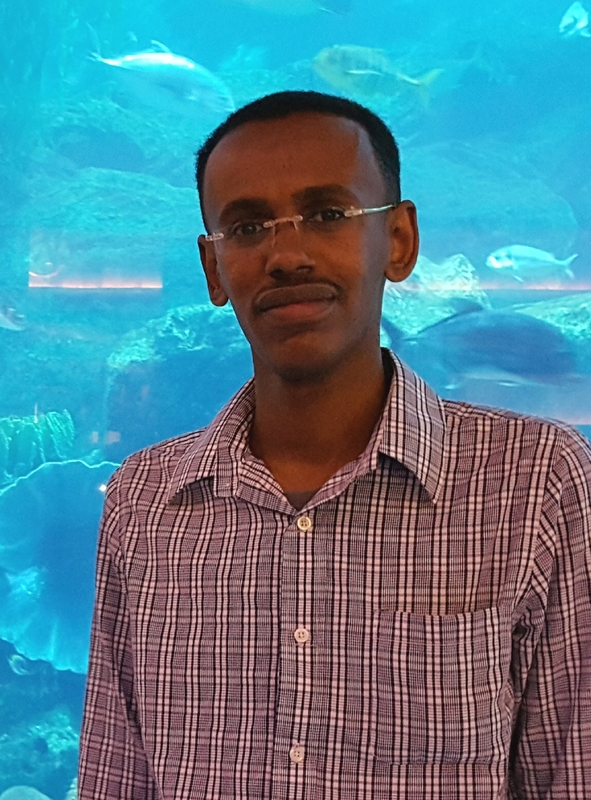 Mohamed A. Omer (MO): To best of my knowledge, there are only two qualified actuaries in Sudan, and another one partially-qualified practicing actuary. There are also many students who are planning to sit for either the IFoA or SOA exams. What is the word for actuary in your local language? Yassir Khalid (YK): "Actuary" pronounced (in Arabic) as "Icktwary". MO: About 12 years ago at Al-Neelain University (based in the capital city of Khartoum). What is your favorite part about being an actuary? MO: Before joining the actuarial profession, I was a professional accountant working with an insurance company in Khartoum. Part of my job was to work with our consulting actuary, who is based in the UK, for product development and to get the valuation report for our life (Takaful) portfolio. Our company (Islamic Insurance Company) has to comply with Islamic Sharia rules in setting actuarial specifications for life (Takaful) products. This has presented a great challenge as Sudan was the first country to develop an insurance product that complied with Islamic Sharia. This challenge, coupled with the fact that we didn't have a single actuary has motivated me to join the profession. YK: Dealing with uncertainty. Our modern life is full of risks. Being an actuary not only helps our clients to manage their risks, but also help us as actuaries to manage our life’s personal risks appropriately. Can you share an interesting anecdote or two from your career? MO: Most of the trade unions in Sudan provides a lump sum retirement benefit plan to their members. These are unfunded Pay as You Go schemes and I worked a lot with them to convince them to convert to a funded plan or defined contribution plan and I had great success. The conversion resulted in a considerable cut in benefits. This has caused me great difficulty as many legal actions were filed against the trustees and I spend a lot of time defending their actions. Do you have any advice for young people in your country interested in pursuing this career? MO: Actuarial science requires hard work but it worth it, and I am very confident that the actuarial profession will have a bright future in Sudan. YK: Never give up. It is a very long journey to qualify as an actuary, but it is also an interesting one! Failing an exam does not mean that you cannot be an actuary, but rather foreshadows for you the high standards of the actuarial profession. There are, in fact, very few qualified actuaries who did not fail any exam at all. What are some of the highlights of the history of the actuarial profession in your country? YK: In 2013, a group of actuarial analysts and MSc students established the Sudan Actuarial Society (SAS) and submitted membership application forms. The majority of members are students. SAS has a Facebook page, which aims to link, educate and update all likers (currently around 7,000) about the actuarial practice. However, SAS is still not officially registered in Sudan due to many challenges. Prior to the establishment of the actuarial profession, Sudan was instrumental in establishing Takaful insurance in the 1970s, a life insurance controlled by Islamic rules. Another interesting aspect of Sudan’s history is that Sudan had the first Pension Scheme in the African and Arab world, founded in 1904 to cover British staff and expanding to Sudanese staff in 1919. This fund currently has a half-million beneficiaries. What are some of the main challenges and projects for your association over the next 5-10 years? MO: The main challenge is the ability to deal with international actuarial bodies under the American financial sanctions. The main project is to enhance the awareness and the importance of the profession among managers, politicians and business owners in general, and to make actuarial science one of the top choices for young talented students. YK: One another important project is to create a website and to increase the number of students (currently around 60 members) to a total of 200. We plan also to fully support high-quality students to help them qualify as actuaries. We hope to have at least 10 associates by 2025. What developments on the horizon could affect future opportunities in your country? MO: The expected changes in the financial services regulations, which will impose many requirements for pension schemes and insurance companies to ensure soundness of their financial position. What have you seen from inside your company? Where do you think the changes to actuarial work in your country will happen in the next five years? MO: I expect many young people to try to pursue an actuarial career and more appreciation for the actuarial profession. Who are the main employers of actuaries? YK: Insurance companies (general, health and life), pension funds and, recently, the ministry of finance. What qualifications do you find most important for upcoming actuaries? YK: In my point of view, the CERA qualification is the most important one. However, the Certified Actuarial Analyst (CAA) is also needed in the country, which will help in filling actuarial assistant (but not practicing) roles. It also has advantage of being shorter, so that it is cheaper and easier to obtain. Do the schools in your country have actuarial majors, minors, concentrations or do students study on their own or overseas? MO: Only one university offers BSc and MSc in actuarial science. We are working with others to develop this major. YK: In 2005, Al-Neelain University started a BSc in Actuarial Science, followed by an MSc in 2009. Each year, there are around 20 graduating students with a Bachelor’s, but the MSc is offered every two to three years and has a lower number of students. The MSc quality is higher and covers 6-8 of the IFoA CT1-CT8 Subjects. What is the credentialing procedure like for an actuary in your country? MO: The actuary has to get a practicing certificate from the Insurance Supervision Authority. The person should hold a membership status from a recognized international actuarial body. Do employers support the cost and time of exam preparation? YK: Very few employers do support their employees. The majority of those that do realize the importance of investing in an actuarial team internally. What is your favorite Excel function? YK: All Excel functions are amazing, but my favorite ones are the VLOOKUP and HLOOKUP functions. Do you have any non-actuarial hobbies? YK: I enjoy watching wild TV programs, as well as space discoveries. What could people from outside of Sudan do to help the profession grow? MO: Technical help to the society (setting regulations and by-laws, offering of books and periodicals) and visiting lecturers to the university. YK: We trust in extensive support from all actuaries and actuarial professions around the globe. As an initial step to growth, we aim to open examination centers and, for this, we seek support from those professions who are willing to do so. Actuaries, on the other hand, can benefit from existing volunteer opportunities including presentations at conferences that aim to educate local employers about the actuarial field and its importance. Lastly, we seek support from actuarial learning companies to offer our students generous discounts and, perhaps, assist us with establishing a library rich with material.